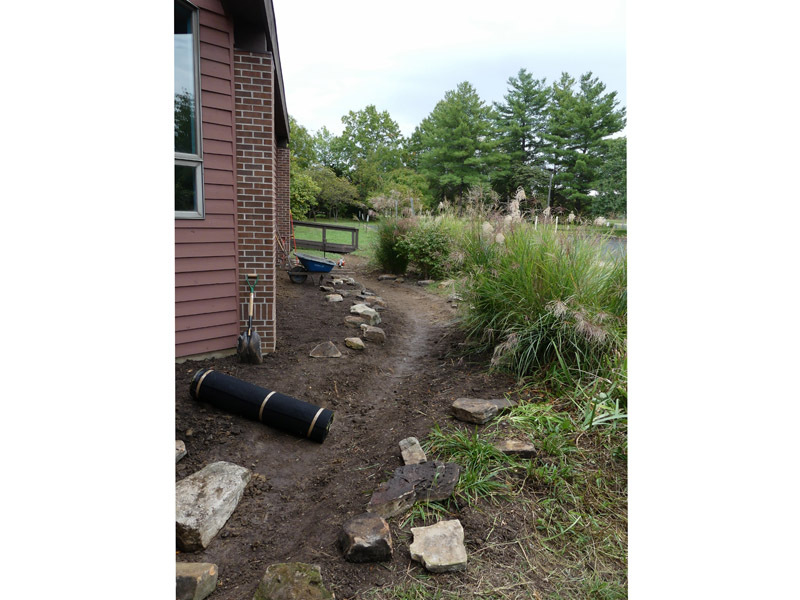 The Grounds Team’s mission is to foster the development and maintenance of our church’s grounds in an earth-friendly and sustainable way, and to encourage people of all ages to interact with the beautiful outdoor space around our church. The team usually meets monthly (less often during the cold months) to develop priorities for the year, discuss ongoing projects, and to work outdoors on planting, weeding, mulching, and whatever else needs to be done to keep our church grounds beautiful, healthy, and people-friendly. 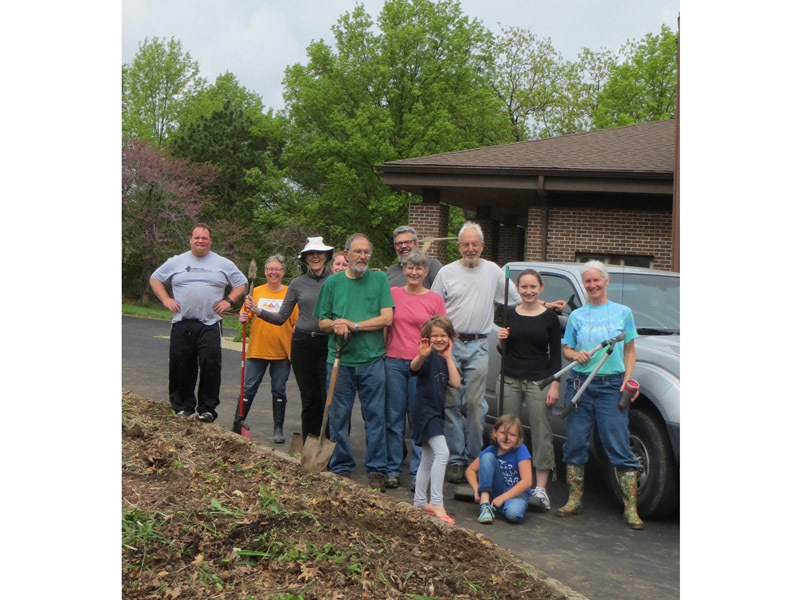 Over the past three years, the team’s biggest project has been converting the perennial beds in the church’s “front yard” to native species. 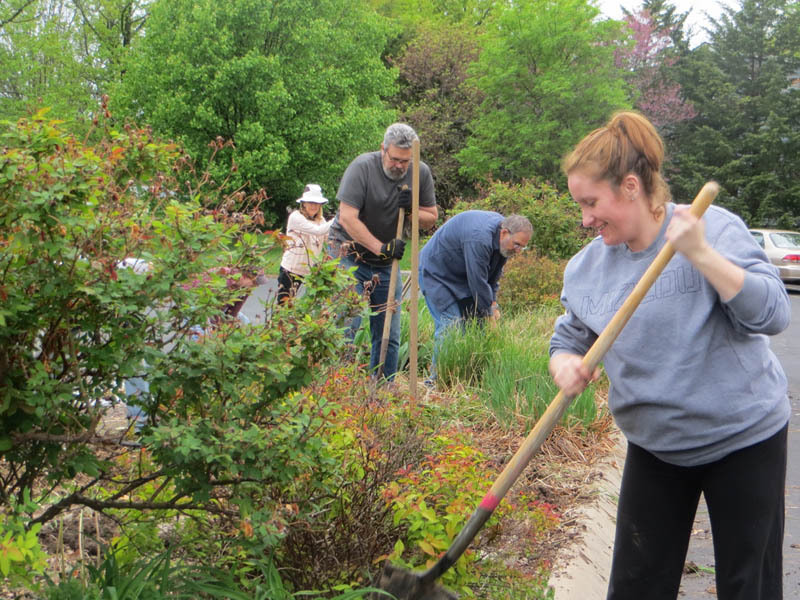 This effort is almost complete, and couldn’t have been accomplished without the dedication of many volunteers who contributed physical labor as well as the brain power to conceive and plan the plantings. The time commitment for Grounds Team members is approximately one hour each month for the team meeting (usually held at church on the third Saturday of the month). 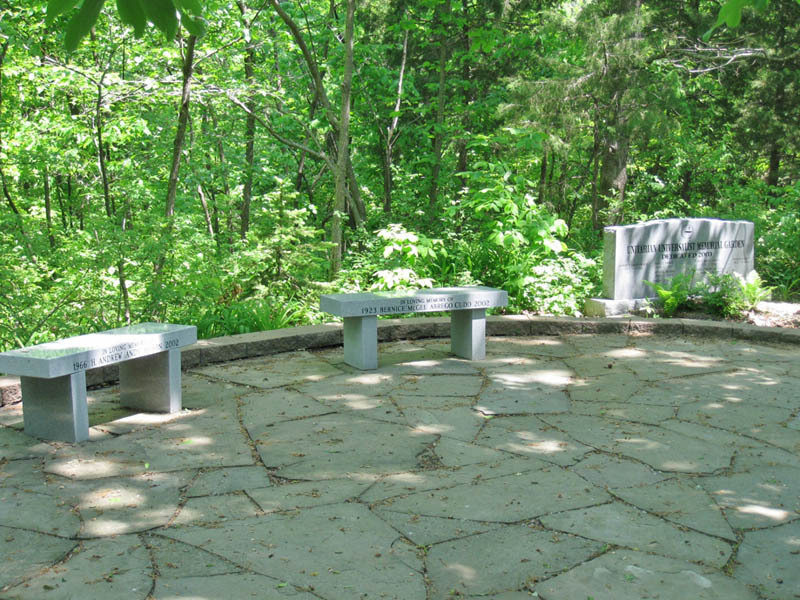 During the warm months, we generally spend an additional hour or two each month working outdoors on the church grounds. 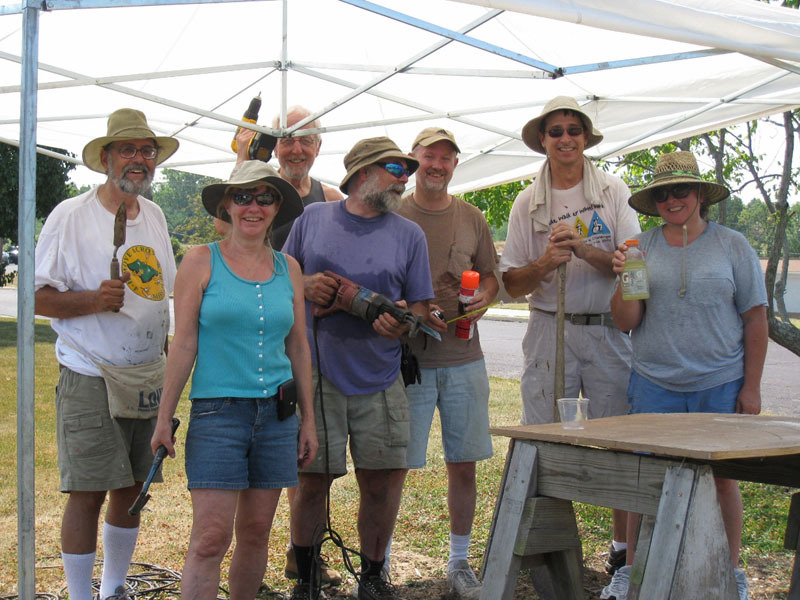 The team could use a few new members to help with the visioning, planning, and budgeting part of its mission – and more helpers at our outdoor work days are always welcome. 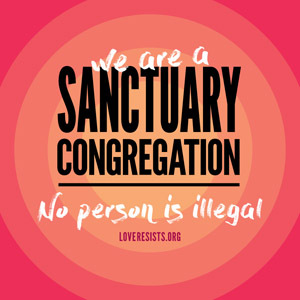 Email one of the co-chairs, Jeanne Murphy or Patty Daus, to learn more. Grounds Team activities are shown in the slideshow below. 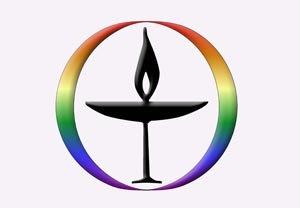 Click the left or right arrow to go to the next or previous photo. 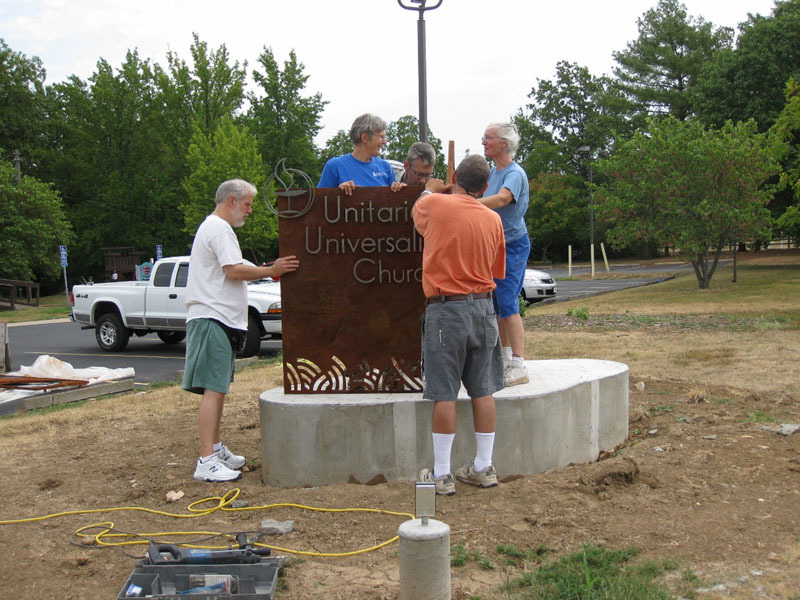 From left, Alan Arnold, Jeanne Murphy, sculptor Chris Morrey, Dennis Murphy and Carol Arnold worked on installing the new church sign in 2012. The sign installation team took a break from its work. From left, Dennis Murphy, Janet Groat, Peter Holmes, Larry Lile, Greg Baka, Kevin Fritsche and Maria Oropallo. 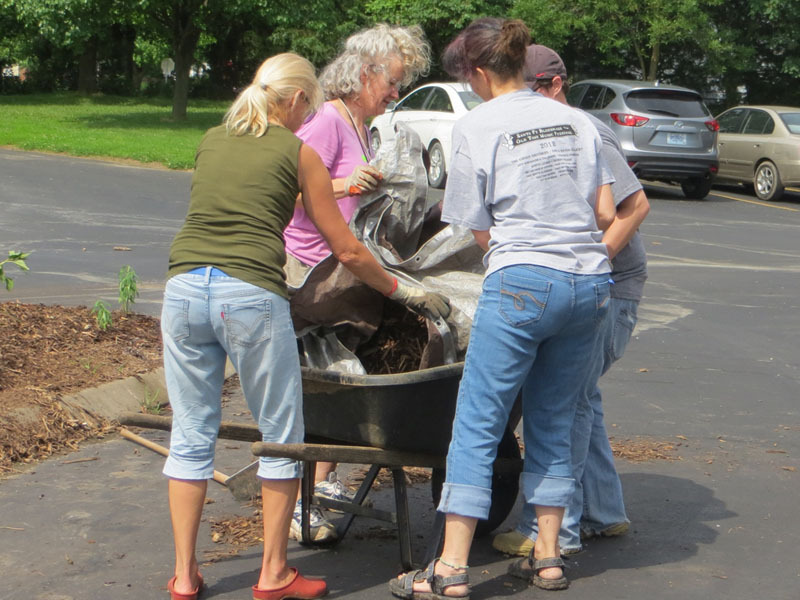 From left, Jana Murphy, Scott Denson, Dennis Murphy and Corinne Mann worked on removing non-native plants from the parking lot planting bed. Tired but satisfied work crew. 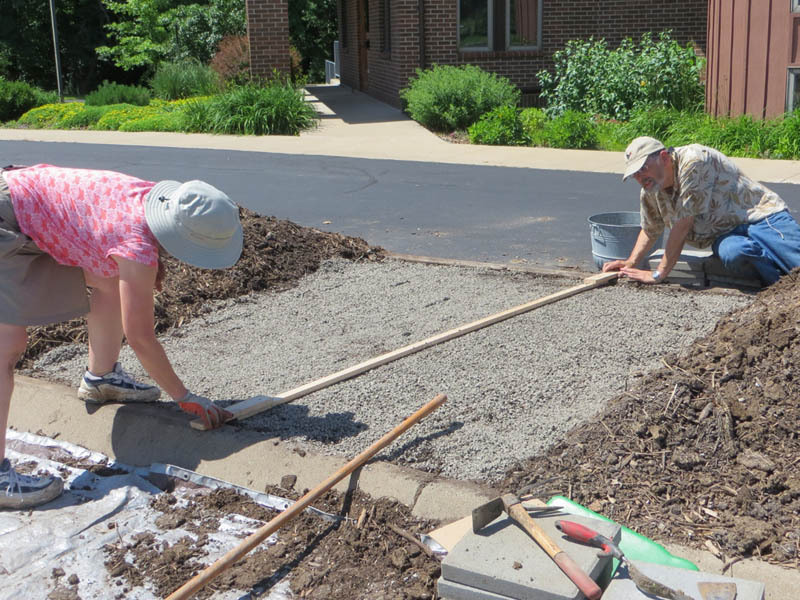 Patty Daus and Dennis Murphy worked on replacing pavers in the parking lot planting bed. 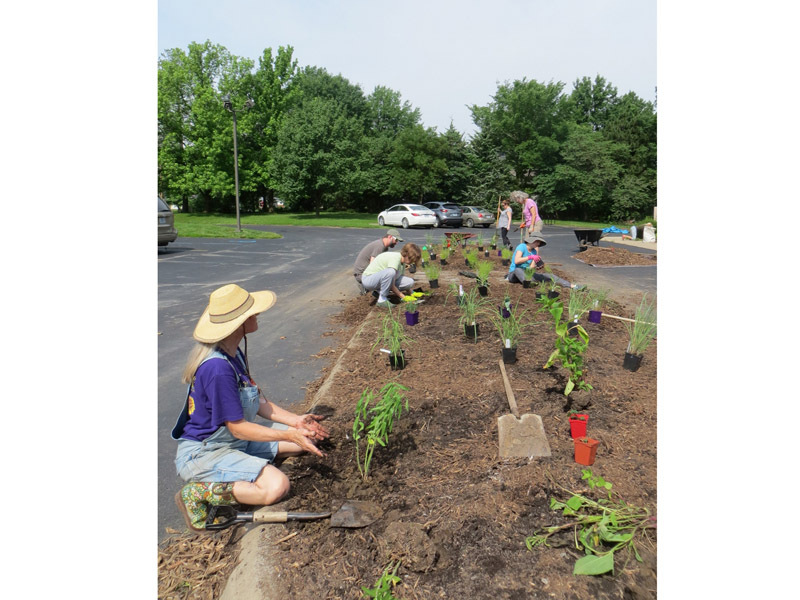 Planting natives in the parking lot bed. 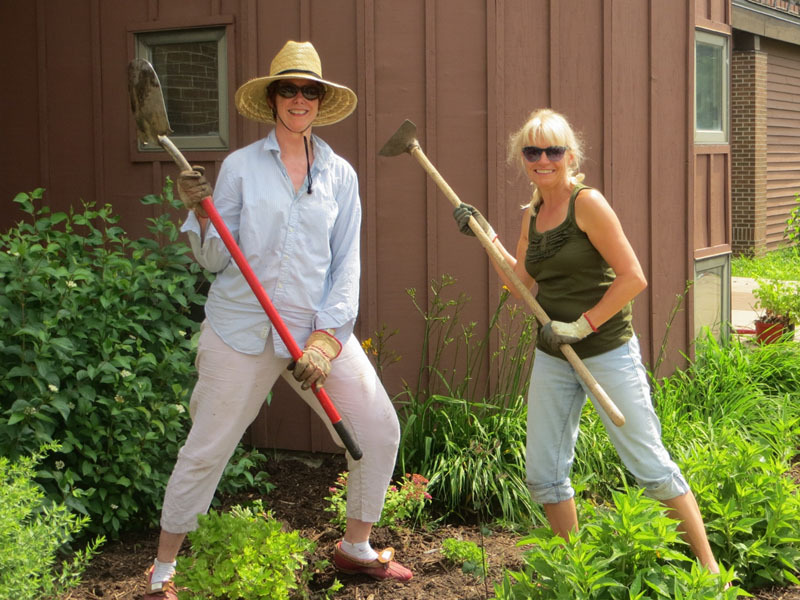 Weapons of mass weed destruction, wielded by Jan Swaney, left, and Gerti Motavalli. Preparing the site for the dry creek bed. 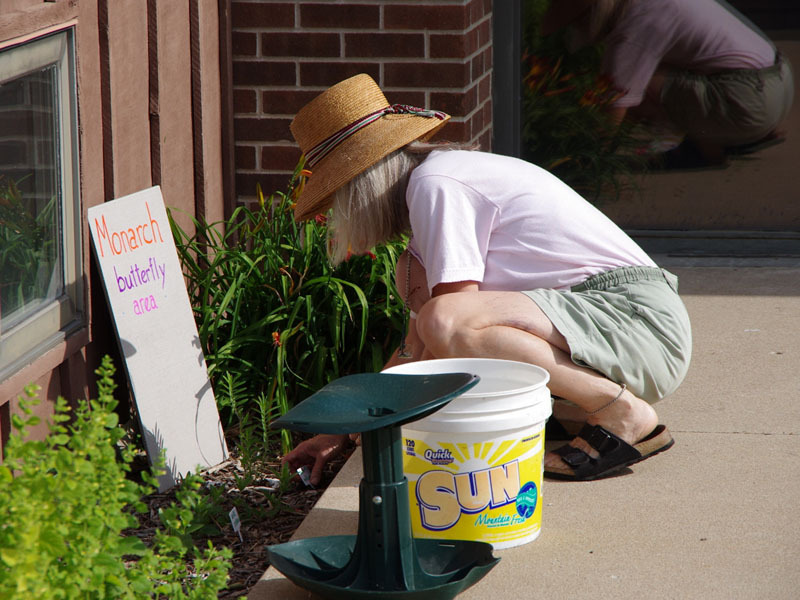 Carol Arnold tending to butterfly-friendly native plants.